Since its introduction in the Treaty of Maastricht in 1992, culture has been a growing field of European politics. 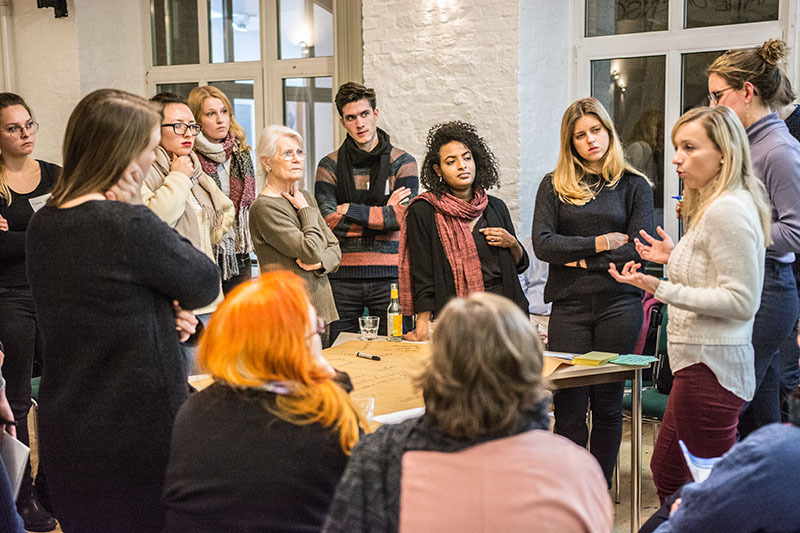 Several programmes and initiatives are supporting many different aspects of Europe’s cultural life, from the protection of cultural heritage and diversity to the support to the creative industries or the crosseuropean exchanges and cooperations. However, the EU’s role in supporting culture is challenged for various and sometimes contradictory reasons: for its support of culture mainly as an economic resource, for the lack of support of the performing and living arts, for the lack of understanding of the needs of the cultural sector, or in the name of the principle of subsidiarity. Just few weeks before the European elections, and in the middle of the discussions about the future of the Programme Creative Europe, the F(EU)ture Festival offers a place to discuss the future of the European cultural governance. After an introduction and input by Dr. Janet Merkel (Institute for Cultural Governance) participants will be invited to identify pressing issues and to develop first propositions during the workshop. Those propositions and recommendations will be further developed and refined online after the workshop to build a catalogue of policy recommendations presented and discussed with policy makers during the conference “A Soul for Europe” on the 13th of April 2019. The workshop will be held in English or German, depending on the preferred language of the participants. A cooperation of the Berlin Institute for Cultural Governance, Polis180 and Kulturpolitische Gesellschaft.